This week I travelled to Quebec Province and the Greater Toronto Area to meet groups and individuals looking to start a parkrun in their community. Timing was perfect as the East is experiencing a warm November. Last time I ventured east it was February 2015 and the temperature was a teeth clenching -30C. Being used to the climate in Vancouver that’s quite a step, but it was incredible to see how the locals shrugged it off. Needless to say I was very unsure of what clothing to take this time around! First stop was Montreal where there is really great interest for parkrun. 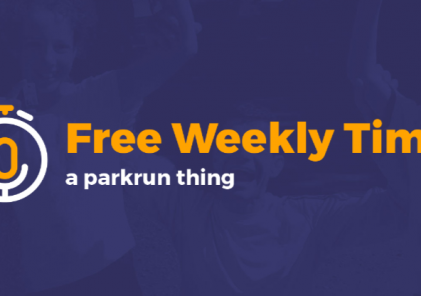 We have a small team there looking to bring parkrun to the island. What struck me about Montreal is the city’s enthusiasm to get fit and healthy. I saw many runners out, and had a few exciting meetings regarding a parkrun launch. On Saturday I visited a small town of Saint Paulin, QC. This French speaking town has a population of just over 1,500, but their enthusiasm for community and being healthy and active is as present as anywhere else. I had the great pleasure of meeting Annie and Nic, two local residents who are keen to bring the concept to the town. I am very grateful to them and the town for their hospitality. On the Saturday morning we held a 5km run called “en route vers parkrun”. Although not an official parkrun event, we had approximately 100 people come out to learn what parkrun is about and how it could benefit their community. The run also served purpose as a learning exercise as to how to deliver a parkrun. We are working with the local event team and are currently developing a plan, so watch this space for news. For the remainder of my trip, I visited the Greater Toronto Area. There are many teams and individuals looking to get parkrun started but unfortunately I didn’t have time to meet them all. While we are at the very start of winter, the work begins now so that we can launch a few parkrun in the Spring. Just tell us where you can help and I can put you in contact the local team in those areas. They’d love to have you help out at this critical stage of parkrun formation. You can contact us via this form here. Of course if you don’t live in any of these areas, we still want to hear from you! Please fill out the same form, and we will be in contact.